‍We know what a difference continuing education can make. That’s why we’re hosting a special yoga event to raise funds to help send our own instructor, Jen Lenhart, to Costa Rica this June for a 300-hour, month-long residential, intensive Jivamukti Yoga Teacher Training. The Jivamukti Method is a path to enlightenment through compassion for all beings. The training produces empowered, informed, and confident yoga teachers. Your cash donation of just $10.00 gets you in the door and all dollars raised will go towards Jen’s expenses including the purchase of a Harmonium. Jen is a full-time yoga teacher who loves her work. Her husband works hard too, and yet, like many people, they live paycheck to paycheck. We are hopeful that if many people can make a small donation, together it will all add up. Jen will teach a one-hour all-levels Jivamukti-inspired yoga class, concluding with a relaxing 10-minute meditation and a brief discussion. Refreshments will be served. ‍Join us in Westlake as two instructors merge talents to create a special all levels yoga class with live music. Rose teaches the class; Beth croons the tunes. Tune-up and tune in with asana, breath and live vibes! Beth Gatchell is a Soul Stretch teacher who is also a gifted singer-songwriter and yogic chanter. ‍Drop in or classpasses apply. YOMOSAS! - Yoga & Mimosas for Moms! Soul Stretch Yoga presents a special event just for Moms, including a special all levels flow class, followed by complimentary mimosas, fruit infused waters, healthy snacks and yogi conversation. Plus all women in attendance will receive a special small gift. Drop in or class passes apply. 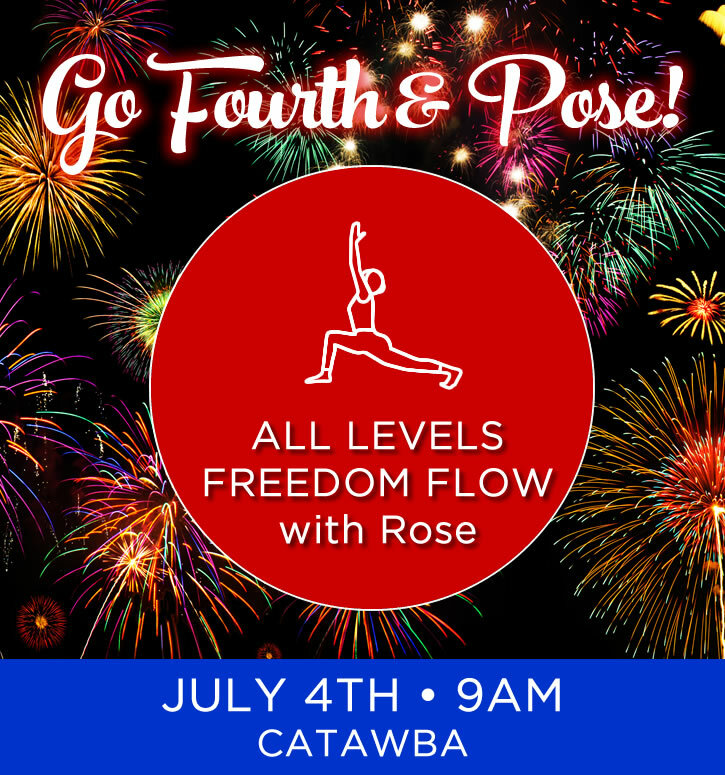 Kick off your 4th of July festivities early with our special GO FOURTH & POSE all levels Freedom Flow. Join Rose on Thursday, July 4th at 9am in Catawba. Together, we’ll celebrate our nation’s freedom as well as our individual independence with a declaration of yoga poses to bring peace and balance into our lives. Drop in or class passes apply. Join Rose Sabin and Deanna Black (veteran SUP Certified Yoga Instructor, Adventure Yogini and Bucket List Catalyst), as we take you on a magical yoga journey atop the healing water. The class combines hatha yoga and vinyasa poses to gain strength and balance on fluid waters. Practitioners will learn a sequence of asanas, including standing and seated poses specifically adapted for aquatic yoga. Class will end with savasana atop the boards while floating on the water.This class is suitable for all skill levels and our smaller group ensures personalized attention. PRICE: $59.00 per person. Sign up via Karmasoft. Includes: Brief tutorial on land, guided paddle through the bayou at Lost Lake, bottled water, fresh fruit/healthy snacks and pontoon ride back from the Soul Stretch “floating studio” in West Harbor.Students must provide their own boards. Join us for a day to nourish the Soul. Take a break from the busyness of the summer schedule to dive into deep self care practices. Spend the whole day with a group of freedom seekers opening your channels of creativity, intention, and manifestation through the process of getting into rest and digest. This amazing One Day Yoga Retreat will include yoga for both heat and cooling, myofascial release, self nurture techniques, ideas for tuning up your digestion, and a soul journey project. We will touch the earth, connect, and go home with strategies for deep healing and growth. A delicious and farm fresh vegetarian lunch will be provided, along with fruit infused waters and healthy snacks. Please bring a yoga mat, journal, and a foam roller if you have one. If you have any dietary restrictions please advise. ‍This special One Day Yoga Retreat will be hosted by our own Soul Stretch registered yoga teacher, Jen McCarter, who is also a Certified Yoga Health Coach and teacher of the Ayurvedic daily rhythm, along with special guest Kristin Gregoire, an LMT and Health Coach. Investment: $129. Sign up via Karmasoft. Join us for a Moonlight Paddle Excursion! ‍We’ll take in the summer sun setting and the full moon rising. Astrology has the sun in Leo opposite the Moon in Aquarius – a day full of emotions, surprises and unconventional behavior. We will harness this energy on the water without any expectations and simply take in all that flows our way. It is a wonderful finish to a long summer day, paddling to a quiet spot, practice yoga on the board, let the full moon above shine down upon us as we finish with a guided relaxation and meditation and add a little fun and full moon crazy with our own glow as we paddle back. Students provide your own SUP. Includes Glow Sticks to wear, Cocktails and Refreshments before and after, and a pontoon ride back to the dock. Sign up via Karmasoft. Learn how to create and hold safe space for those impacted by addiction. 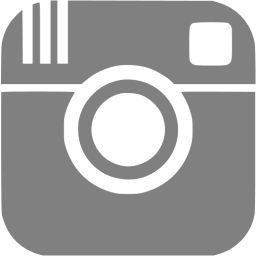 Y12SR is a holistic program for addiction recovery and relapse prevention. Get the tools, knowledge and support to offer weekly Yoga of 12-Step Recovery meetings in your community. To become fully qualified to host Y12SR meetings, you must complete both the Y12SR Intensive and Leadership Training. This magnificent yoga retreat will take place in the picturesque Italian countryside, along the border of Tuscany. A beautifully restored villa awaits your arrival complete with breathtaking views of majestic rolling hills. You’ll enjoy a taste of La Dolce Vita (the sweet life!) as Rose and Italian Tours & Travel by Diana spoil you with Italian hospitality, delicious cuisine, and fun packed excursions. Guests will enjoy yoga twice a day and our scenic day trips will allow students to explore art, food, history and culture in guided comfort.